Coal: If Grand Staircase Loses Monument Protection, Will Companies Want To Mine It? U.S. 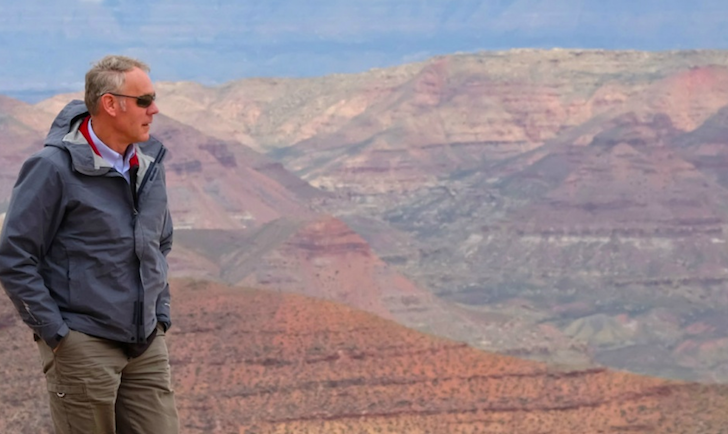 Interior Secretary Ryan Zinke at the Grand Staircase Escalante National Monument, which the Trump administration says it intends to shrink. It's still not clear how much of the coal contained in the monument would be mined with smaller boundaries. Everything about the Grand Staircase-Escalante National Monument is big. It’s 1.9 million acres. It’s filled with dinosaur bones and ancient history. It also sits on lots of coal - over 22 billion tons of it, Utah’s largest coal reserve. And, if the Trump administration shrinks the monument boundaries as it's been promising for months, companies might be free to mine there again. But that coal might just stay in the ground anyhow. “It's been really unclear, at least for us, to figure out exactly who this might be might be benefiting,” says Taylor Kuykendall, who watches the U.S. coal industry for a business research company called S&P Global Market Intelligence. He says power plants don’t need as much coal as they used to - many have switched to cheaper natural gas. And less demand means lower prices. It boils down to economics. Kuykendall says it’s a big investment to hire people, mine coal and ship it, especially in a new area. 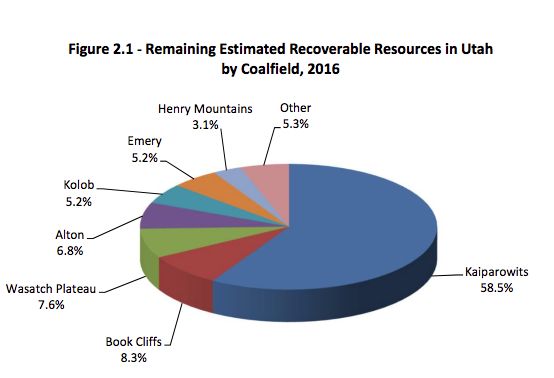 So, even though the Kaiparowits Plateau contains almost twice as much coal as the rest of Utah, the bottom line is it might not be mined. “A lot of companies are going to be thinking about how the political environment could change between now and when that project actually started producing coal,” he says. One more clue about the future of the Kaiparowits reserves is the past. Just a tiny fraction of it was mined in the heyday of Utah coal, a few decades ago. Now, with prices down and costs up, it might just stay there a few eons longer, no matter what President Trump does to the national monument. While coal interests have retained their strong preference for Republican presidential candidates, oil and gas interests have shifted their spending to Clinton in the general election. Fossil fuel companies have a history of backing Republican candidates. But this year’s unusual presidential campaign appears to be having a strange ripple effect on political giving -- at least from the oil and gas industry. The little-known Community Impact Board usually spends its meetings considering funding requests for rural Utah projects like a new justice center in Grantsville or improvements at Grand County’s airport. 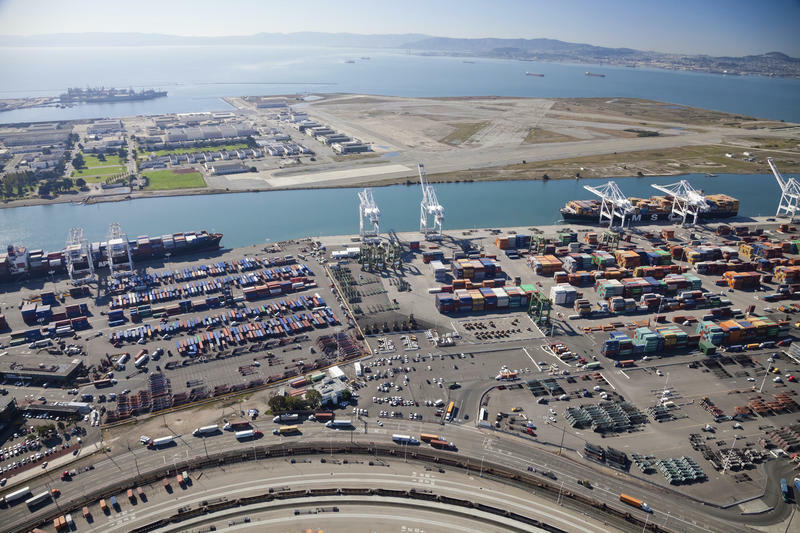 An inconspicuous state panel known as the Community Impact Board will meet this week for the first time since the Oakland, Calif., City Council voted to ban coal shipments. Board member Jae Potter says it’s disappointing, but Oakland’s move won’t derail support here for Utah coal.